While coverage in a big-name media outlet will always be a huge win, a feature story in a niche trade publication can be just as valuable – if not more so – to a client’s bottom line. Like all earned media, trade publications offer exposure and powerful third-party endorsements. Furthermore, trade outlets reach highly targeted audiences, including key decision makers and buyers. By establishing solid relationships with trade reporters, PR pros can ensure top-of-mind awareness for their clients and secure substantial placements that raise brand awareness and, ultimately, result in new business leads. that they cover – so it’s important to do your homework. When pitching, let your inner geek out. This is when you need to shine and show off your expertise about your client’s products or services, as well as their industry. If you can demonstrate that you are knowledgeable and can serve up reliable information and sources, journalists will continue to come back for interviews, images, information and insights from you and your client. Keep an eye on the competition. In addition to knowing your client inside and out, it’s important to stay on top of what their competitors are doing. Monitor the companies’ media coverage, regularly visit their websites and familiarize yourself with their product lines and promotions. 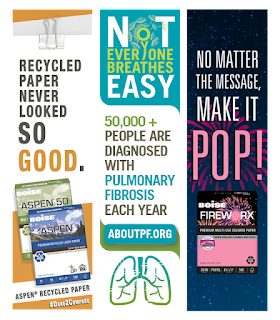 Flag competitor news for your clients in real time to demonstrate your savviness and to keep them informed. Not only will this help you know the industry better, it can inform your PR strategy, strengthen your pitching skills and lead to new media opportunities. Track editorial calendars. While editorial calendars for consumer outlets are primarily geared toward advertisers, many trade publications publish detailed calendars of their planned editorial for the entire year. These serve as great resources for crafting timely, relevant pitches for editors. To stay on top of upcoming opportunities, create a calendar that outlines potential opportunities month by month to ensure that your client is represented in any relevant articles or product roundups. Maximize trade shows. Industry events are ideal for cultivating media relationships and placements. Smart practitioners will leverage opportunities to generate coverage for their clients before, during and following these events. In the months leading up to the show, pitch your client’s news to publications that typically publish pre-event coverage. (This is where those editorial calendars come in handy!) Invite media to stop by your client’s booth to see products firsthand and interact with company representatives. If possible, book appointments. Editors who schedule appointments tend to spend quality time at the booth and provide useful insight into upcoming projects. Beyond appointments, be ready to hustle! On-the-spot “wrangling” throughout the show can draw more media into the booth. A general rule of thumb is to introduce yourself and pitch your client to anyone with a camera. During any meeting, keep good notes so that you can provide quality follow-up and drive post-event coverage. Showcase successes. Most trade magazines feature project profiles or case studies because they offer real-life examples and highlight the perspective of contractors and customers, rather than companies. Collaborate with clients to generate a steady stream of project success stories. This non-commercial, evergreen content is like gold to editors. Plus, case studies are invaluable for establishing clients as leaders in the industry and educating readers about the benefits of their products, services and brands. By applying these tricks to your trade PR program, your account team will earn quality media coverage that will get your client in front of important, influential audiences – establishing them as thought leaders, increasing their visibility and generating leads. The gift of home safety will always be in style, so to help share this timely reminder with consumers LCWA’s home PR team set out to land high-profile coverage for our client, First Alert, to round out the year. As a result of our proactive pitching efforts in Canada, our team was able to secure a great opportunity with The Marc & Mandy Show, one of Canada’s top day time talk shows. Hosted by the husband and wife team, Marc Atiyolil and Mandy MacLaren, The Marc & Mandy Show is a national design and lifestyle program that airs weekly on eight networks across Canada. 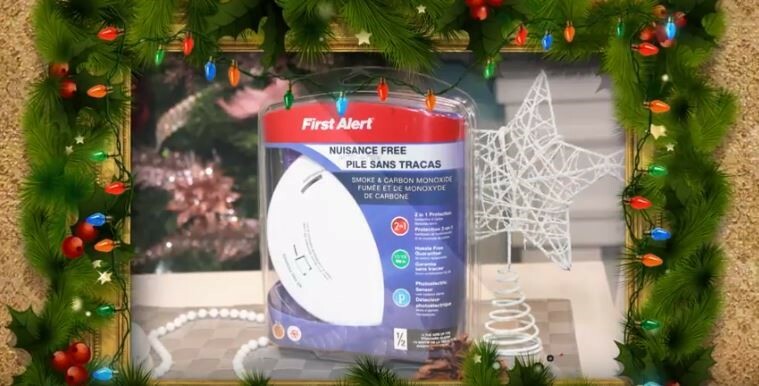 As popular home décor and DIY influencers, the show presented the perfect opportunity to easily reach our target audience in a fun and festive way by featuring the First Alert 10-year Smoke & Carbon Monoxide Alarm in a live studio audience giveaway during the show’s hit holiday episode. In addition to this national TV clip, this giveaway generated coverage in Canadian Home Trends, a shelter magazine that covers all home topics from décor and gardens to building and renovating. The First Alert 10-year Carbon Monoxide & Smoke Alarm was featured in its Holiday Special Edition and in its online holiday gift guide. With more exciting announcements on the horizon, the LCWA team looks forward to continuing to bring First Alert great results in the Canadian home market! LinkedIn has long been a platform for work-oriented and business professional people. The social media website originally launched in 2002 as a way for working professionals to connect and network with others. Today, it is a massive social media tool that is vital to professional networking, recruiting, sales and much more. Like Facebook and Instagram, advertising and sponsored promotions on LinkedIn have become important ways for businesses and brands to leverage the social media community. 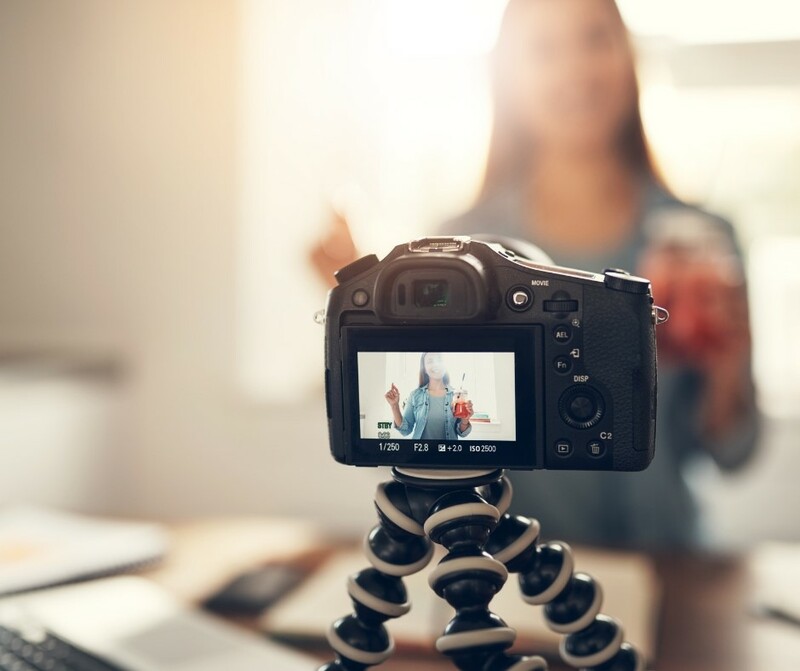 While still image ads and sponsored posts remain effective ways to reach a targeted audience, video can be an even more dynamic and useful option. When creating video specifically for LinkedIn, it’s especially important to understand your audience. Because of LinkedIn’s professional setting and business-focused users, it’s essential to create video with them in mind. Focus the video on one topic and target accordingly using LinkedIn’s Marketing Solutions. LinkedIn’s targeting options include location as well as specific workplace criteria, such as company industry, name, size, as well as an employee’s job title, function, skills, degrees and more. When getting across a specific message, don’t be afraid to be specific! Being selective with your target audience will put your content in front of the right eyes, making it even more effective. Most people who are on LinkedIn are there for a reason. Unlike Facebook or Instagram, you typically don’t just peruse LinkedIn with no objective at hand. You don’t want to distract users too much from their objective, instead you want to grab their attention and deliver a concise, useful message. A good rule of thumb is to keep LinkedIn videos under 1:30 minutes. This should be plenty of time to convey your message to viewers while still holding their attention. Have more info to convey? Try a series of short videos instead of one long one. In addition to knowing how long to make the video, it’s also important to know the best time to post the video to the timeline. In general, the best time to post to LinkedIn are weekdays in the afternoon. Employees are taking their afternoon break and browsing social media during this period, making it perfect posting time! The best video content is made with a conversational and natural tone. No one wants to watch an uptight, boring video. Also remember the goal of your video. Is it to provide tips on a topic, or to drive clicks and purchases on a website? Whatever the goal is, construct your video to meet it. Don’t be afraid to have fun with your video production! Get creative and enjoy the process by switching up your filming locations, doing a demonstration on camera or giving the audience a behind the scenes look. Discover what your LinkedIn “voice” is and continue that tone throughout your content. This will help establish a fan base so that people know what to expect out of upcoming videos. Keep these tips in mind when you create your next – or first – video for LinkedIn! Social media is constantly evolving and sometimes it’s tricky to stay up-to-date, but if you consistently create engaging, thought-provoking content, you will always find success. I recently returned from Des Moines, Iowa, where I traveled to represent our client Trex Company as part of a “speed-pitching” event held at Meredith Corporation (whom you may be familiar with for publishing magazines like Better Homes & Gardens and Traditional Home). With some great Trex outdoor living products in the cue for 2019, we saw this as a timely opportunity to get these new offerings in front of influential long-lead editors while they are in the midst of planning their spring/summer issues. To capture the attention of attending editors, we decked out (pun intended) a visually compelling Trex display, creating a product playground where editors could interact with samples and view stunning photography of Trex products in actual outdoor living settings. Trex even provided us with branded Bluetooth speakers to give to each editor – what better way to enhance your outdoor living experience than by cranking up your favorite tunes? In an increasingly digital world where people spend the majority of their days looking at screens and interacting with others primarily by email, PR continues to be a business of relationships that require nurturing both on and offline. These personal connections are key and often open doors to opportunities that might otherwise get lost in an overflowing inbox. 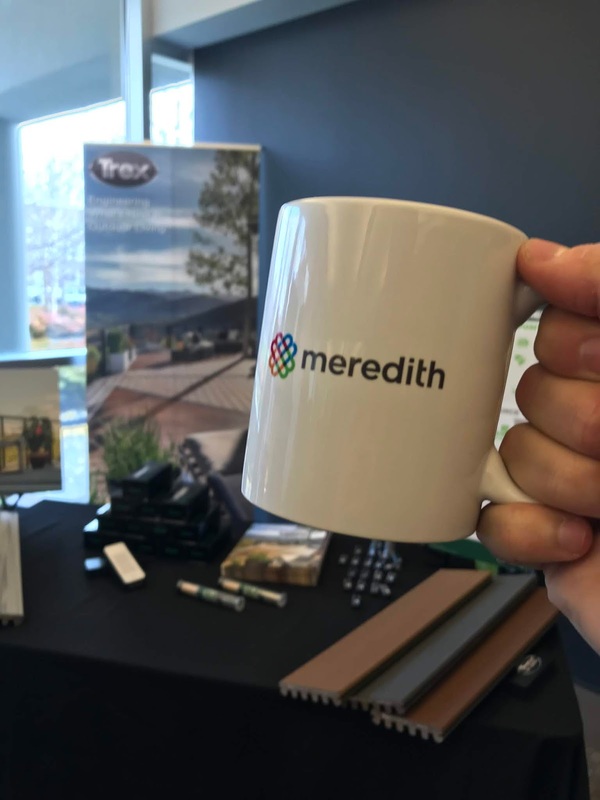 The face-to-face interaction afforded by this event not only gave us the perfect environment for showcasing the new Trex products, but also enabled us to connect with many editor friends with whom we have worked for decades, and put faces to some of the newer names on the Meredith team. This opportunity to truly engage with editors led to highly productive and valuable discussions about their likes, dislikes, favorite projects and plans for 2019. As tends to happen in these settings, things also got personal. For example, one editor shared her disappointment with how her wooden deck at home scratched so easily. This provided an ideal opportunity for us to highlight how a Trex composite deck would be able to solve that problem thanks to its high-performance, scratch resistant shell. We even got the editors of Wood Magazine thinking about the benefits of composite! These personal conversations effectively brought Trex top-of-mind and fostered interest in their new product offerings. Just as important, they allowed us to reinforce, and in some cases create, lasting relationships with media that we will continue to cultivate throughout the coming years. This winter, Santa came to town in style with a fun seasonal adventure at one of Chicagoland’s premier shopping destinations. 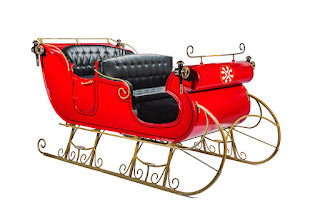 LCWA client, Water Tower Place has partnered with Portable North Pole (PNP), a web and mobile platform that specializes in customized Santa videos, to bring a unique virtual sleigh ride experience exclusively to Chicago. 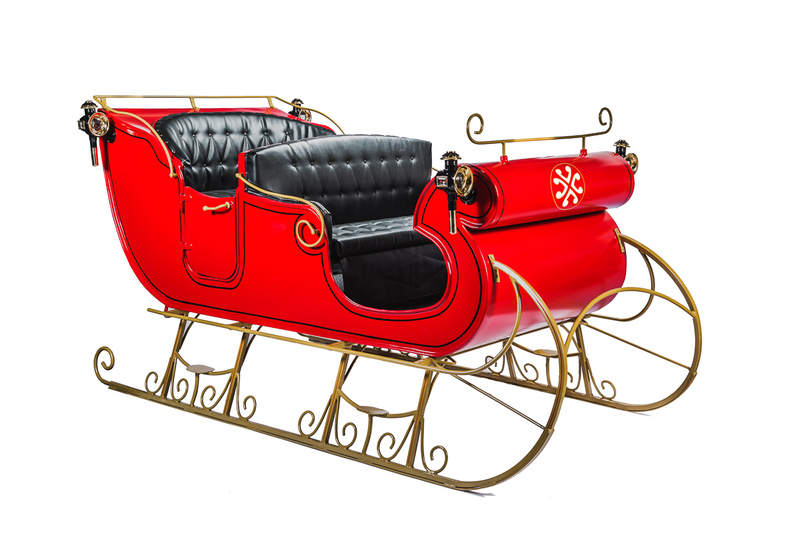 Driving awareness and visitors to the iconic PNP red sleigh, LCWA’s aggressive local media, influencer and tourism campaign has resulted in nearly 30 placements in priority Chicago and feeder market media outlets and blogs including WLS-TV (ABC), WMAQ-TV (NBC), Chicago Parent, Milwaukee Journal Sentinel and many more. Between November 16 and December 24, Chicagoans and tourists can experience the holiday magic of an interactive virtual ride on Santa’s sleigh, parked on the 7th floor of Water Tower Place. Visitors can take Santa’s reindeer on a training flight with immersive technology and have a recorded video of their thrilling adventure from Chicago to the North Pole sent to their email address to be shared. After the sleigh ride, children can greet Santa’s elves and meet with Santa to have their picture taken. Water Tower Place welcomes walk-ups to the Santa sleigh ride experience, or visitors can skip the line by making a reservation at https://www.celebrateyourholiday.com/Reservations.